A superb range of Autoglym Valet bags bringing additional value to the car enthusiast. 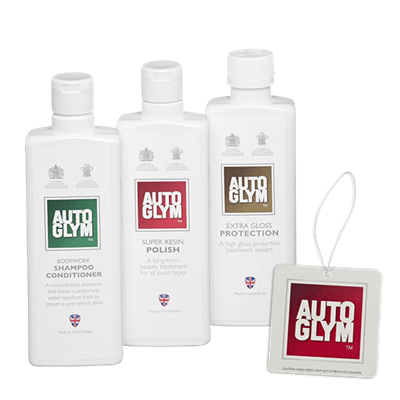 This comprehensive kit range caters for every budget and need right up to Autoglym's new Red valet bag. The Autoglym valet bags are beautifully packaged and make great presents to suit all budgets. If you are unsure what your loved one may require and wish to surprise them call us for jargon free advice on 01423 889885. Swops! We understand that you may not need some of the items in a kit. If you would like to swop some products you can contact us on 01423 521023 or via email on sales@uksupplydirect.com to request any swops, please be aware that we would look to swop items of similar retail value so please check prices in our Autoglym retail section first. 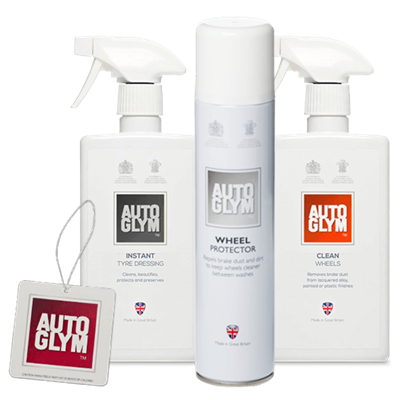 Autoglym New Valet kit - Perfect Bodywork & Wheels for the ultimate finish! Autoglym's Black Valet bag without any products.